A new look was critical, so we provided a new logo design and brand identity, which can be seen here. The new home page features a custom full screen slideshow that fills the screen, whether you’re browsing on a desktop or a smartphone. 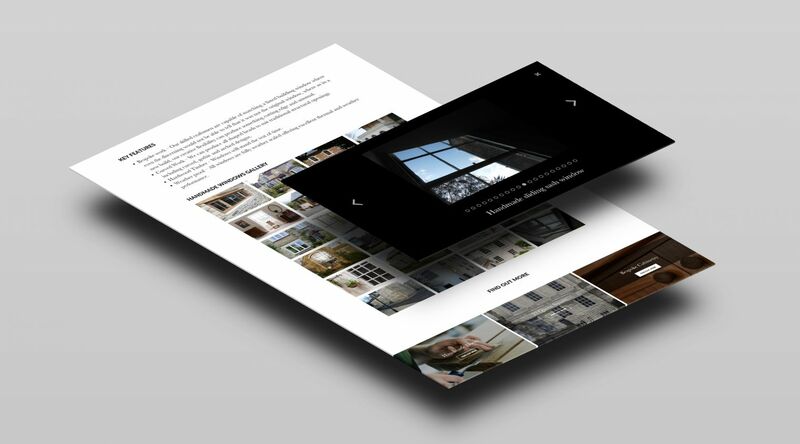 The slides within the slideshow have captions that link through to various key pages on the website. The main navigation collapses down nicely for positive mobile friendly user experience, and the header includes the company’s phone number and email address (which are both touch screen compatible). We added 5:1 header images for impact as soon as the visitor lands on the page. For devices with smaller screens, the header collapses down to a a hamburger icon and utility icons. 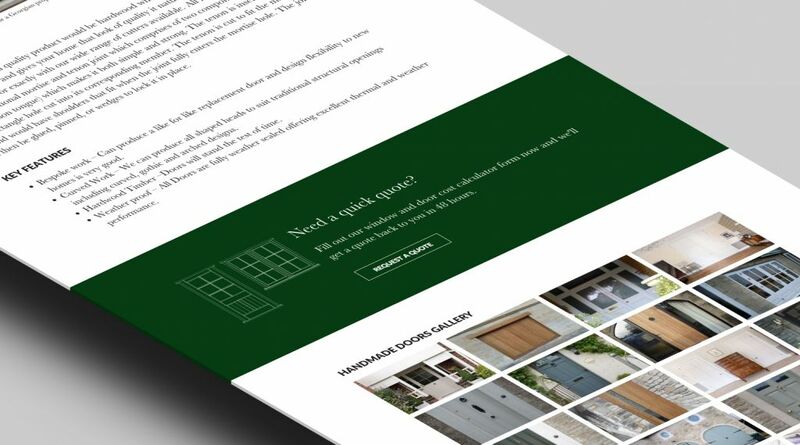 The quick quote allows customers to specify the sizes of the windows or doors they require, and even upload pictures of the existing windows to allow for a more accurate quote. 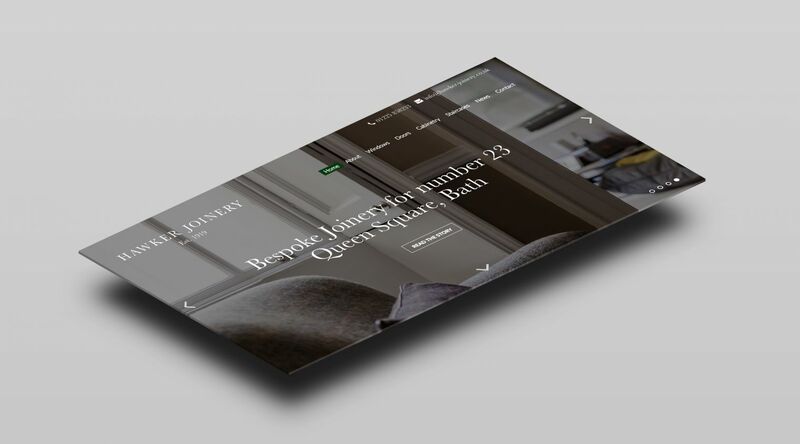 The site is designed to encourage cross navigation, encouraging visitors to read on; using the CMS, the client can choose to showcase key articles in key places, as shown below. 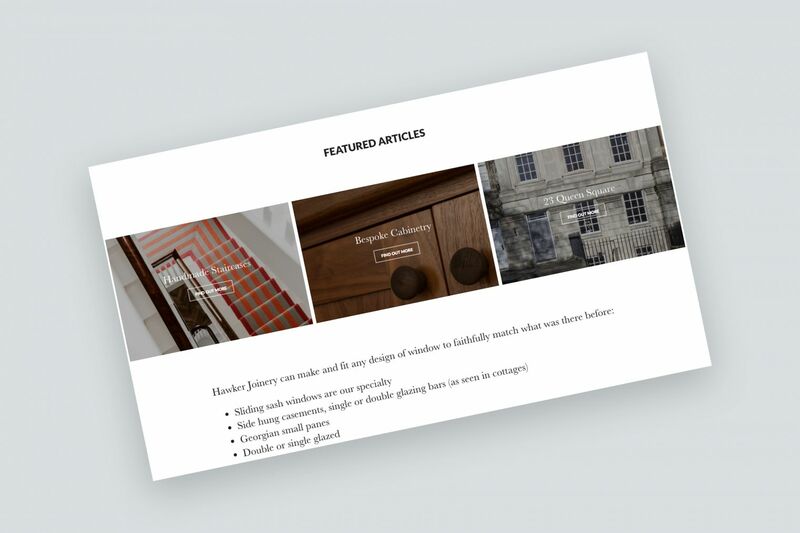 Visit www.hawker-joinery.co.uk to experience the site for yourself.